Provisional Issue 1861 (April 10): Woodblock 1 d. brick-red on laid paper, an unused example with large even margins all round and trace of adjoining stamp at right, of strong true colour and impression. 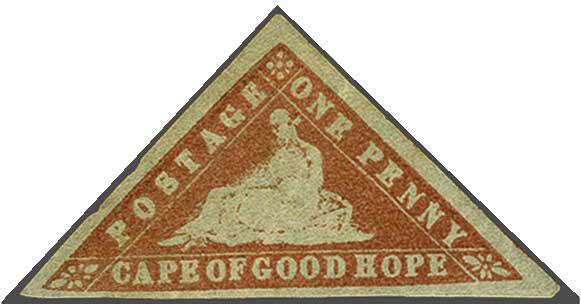 Tiny ink mark on reverse slightly shows through to 'Hope' and the stamp with natural paper wrinkle mentioned for accuracy only and not mentioned on certificate, otherwise fresh and very fine, unused without gum. 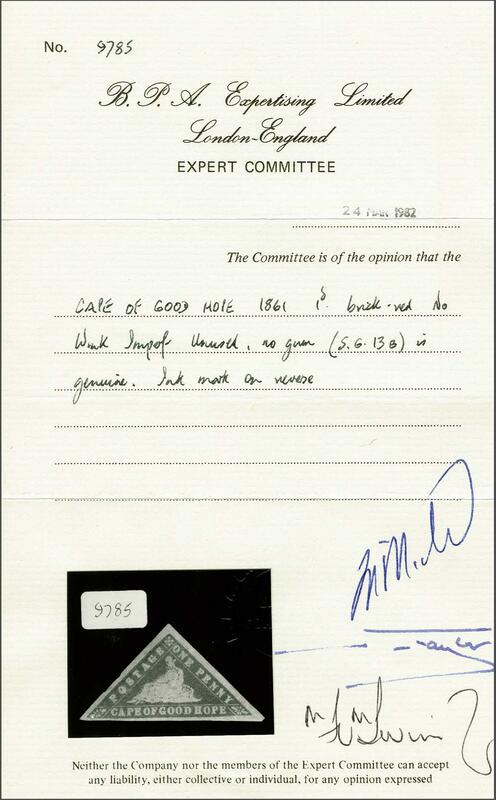 An outstanding example of an immensely rare stamp. Cert. BPA (1982) Gi = £ 50'000.